With the NLDS tied at one game each, the post season returned to Shea Stadium for the first time in eleven years. It had been a long wait for the Meta faithful. 56,180 crazed Mets fans came to Shea to cheer on their team. 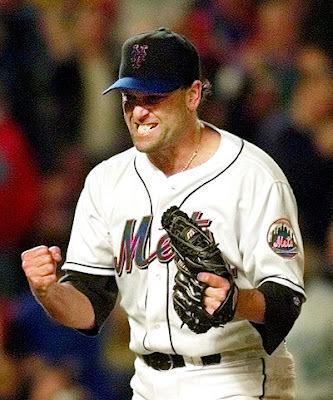 In a good pitching ,matchup, Bobby Valentine sent Rick Reed (11-5 / 4.58 ERA 104 Ks) to the mound as Arizona Manager, Buck Showalter sent Omar Dahl (16-9 / 3.65 ERA / 148 Ks) to face New York. In the home 2nd, Benny Agbayani singled, then with one out, Robin Ventura & Todd Pratt both walked. Rey Ordonez put the Mets on the board with an RBI single to right field. 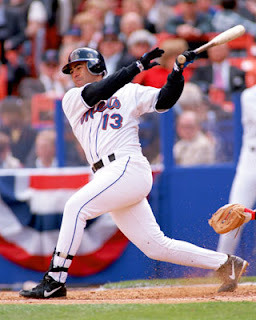 In the Mets 3rd, Edgardo Alfonzo doubled, then John Olerud singled bringing in Alfonzo with the Mets second run. 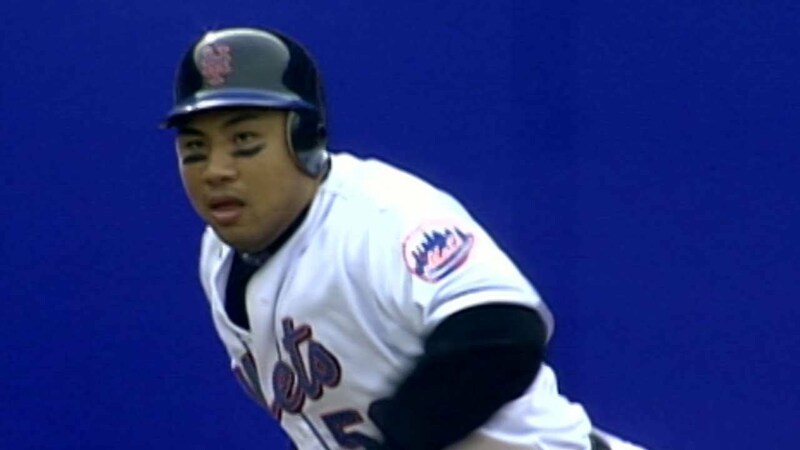 Benny Agbayani followed with a his second base hit of the game, advancing Olerud. 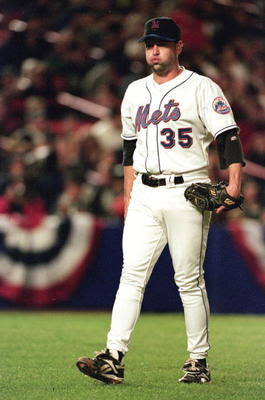 Robin Ventura grounded out to first base, Olerud scampered home with the Mets third run, 3-0 New York. In the top of the 5th for Arizona, pinch hitter, Turner Ward hit a two run HR off Rick Reed to make it 3-1. In the 6th inning, the Mets blew it open. Todd Pratt drew a lead off walk, he was bunted over to second base by Rey Ordonez. Bobby Bonilla then drew a walk & Rickey Henderson came through with a single bringing home Pratt. Edgardo Alfonzo was walked intentionally. Arizona went to reliever Dan Plesac. John Olerud & Roger Cedeno both greeted him with RBI base hits. Darryl Hamilton also singled making it a 9-2 Mets lead. Eleven Mets came to bat in the inning where they scored six runs, with four hits & three walks. Rick Reed pitched six innings, allowing two runs on four hits, with two strikeouts & two walks. Turk Wendell, John Franco & Orel Hershiser all pitched scoreless innings in relief. The Mets won it 9-1 & took a two games to one lead in the NLDS, needing just one more win to advance to the NLCS.